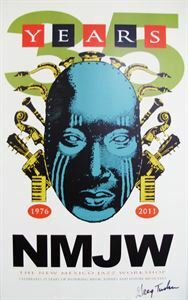 NMJW 35th Anniversary poster by artist Greg Tucker. Copyright © 2019 NM Jazz Workshop. All rights reserved.